We’ve all heard about the importance of so-called "beauty sleep”, the idea being that the more sleep you get, the better you’ll look. Is it true that getting more sleep could be the secret to looking and feeling better? All signs point to yes. Though it’s certainly not a magical catch-all solution, making sure that you get plenty of rest is just as important for your appearance as eating well, exercising and drinking plenty of water. 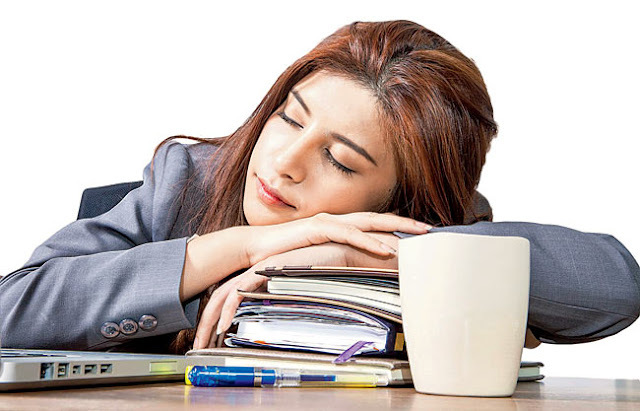 Lack of sleep leads to bags under the eyes and dull, dry skin, but in the long term it can also have a negative effect on a person’s health, including impairment of vision. We all know that we’re supposed to get around 8 hours of sleep a day to be at our best. But let’s face it, sometimes that’s just not on the cards. We have busy lives to live, and it’s not always practical or even feasible to get all the sleep we need in one night; anyone with children can attest to this fact! A great way to get more beauty sleep is to take power naps. We’re not talking about taking an hour or two to sleep off that huge Sunday lunch, but by taking a short amount of time out of your day to get some rest and give your body and beauty what it needs. It’s the ideal way to catch up on your sleep and refresh yourself for the afternoon, especially if your daily routine is particularly high pressure, busy of stressful. A good amount of time for a power nap is anywhere between fifteen and thirty minutes. If you’ve ever felt groggy after a long nap, it’s because the longer you sleep, the deeper that sleep is. If you sleep between fifteen minutes and half an hour, your body will have had enough time to feel refreshed but not enough that it’s settled in for what it thinks is a full night’s sleep. The quality of your sleep is important too. A peaceful and restful sleep will be much better for your skin and hair than a shallow and fitful one. The best way to ensure that your power nap really does the trick is to make sure you have a comfortable place to sleep. This applies to your normal sleep patterns too, so investing in a high quality bed may be the thing to do. Your bed is more important than you think, and there are so many bed companies that promise you a great night’s sleep that it can be hard to make the best choice for you. Using an online resource like Bedstar, which stocks a wide range of beds and mattresses from several big name suppliers at competitive prices. If you want to ensure a great night’s sleep each and every night, starting with your bed is one of the best ways to do it. Studies have shown that an afternoon power nap isn’t just beneficial to our looks, it’s also good for our minds and bodies, with people feeling more alert and productive for the afternoon ahead after a quick power nap than those that went without. Why not give it a try and feel more beautiful? A power nap sounds like just what I need about now :) They are great! A nap of only 15 minutes hardly seems worth it! LOL. Apparently Churchill existed only on power naps. He never went to bed properly. Occasionally I feel the need, but I usually find that it hits be too close to the school run to give in to it. I wish we could be a bit more like the Spanish and take a siesta each day! This would be nice! I've started power napping at uni at its the best thing ever! Sometimes I really need it to get through the day. I didn't know that 'power naps' were supposed to be between 15 and 30 mins though - will bear that in mind! I have insomnia so I never sleep during the day or much of the night but I wish I could as it would make me feel so much better. I have to admit, I hate power nap, it makes me wanting to sleep more :( every single time! My husband is king of the power nap! I don't know how he does it! I hardly get up to 8 hours sleep a night these days. So hard with kids. whenever i try to have a power nap I feel worse afterwards! When it happens......which is a miracle.......it's amazing ! Other countries have it right having a siesta. If I can fit a nap into my day I will. I hated sleep when I was younger now I crave it everyday. I normally wake up cranky but after 10 minutes I'm good to go. I used to love having power naps, or cat naps before our little boy was born, now I don't get much time. Although I do try and have a nap when he naps, I'm a firm believer in napping when baby naps. I do find that it gives me an extra surge to deal with the afternoons.